Description 3-7-56 upper left corner; L.S.D.-1-7 upper right. Middle section of lake. 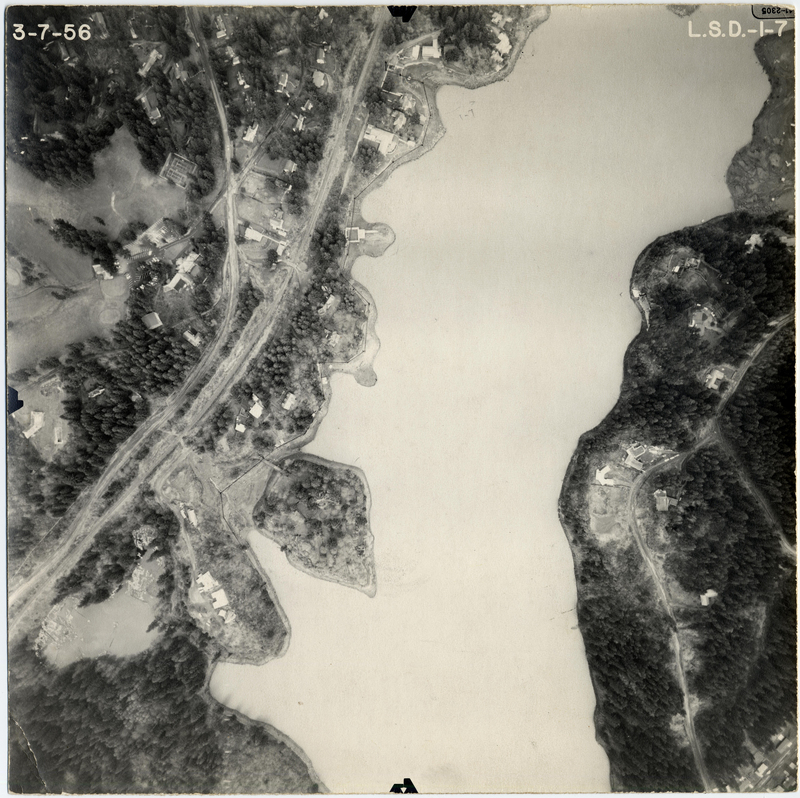 The leaf-shaped peninsula on the left side of lake is Jantzen Island (lake is lowered but you can see the bridge to the shore). Lily Bay is in the lower left corner.